Home was built with a craftsman style. 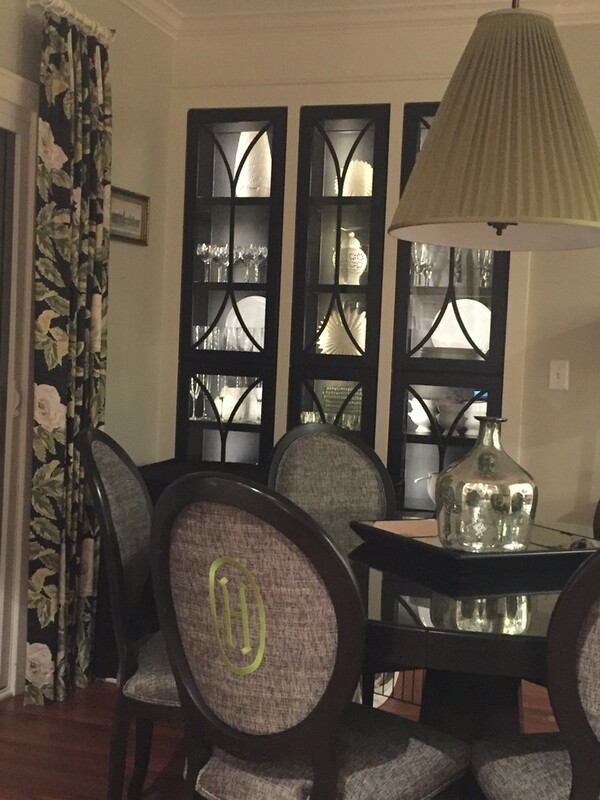 Transforming some of the key features into a more transitional aesthetic. 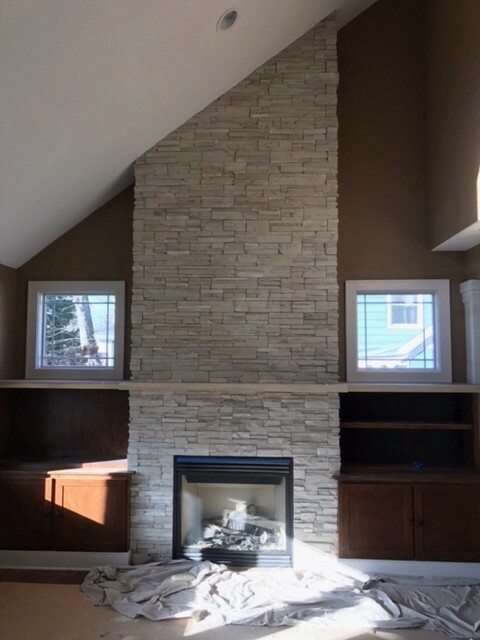 Mantle was redesigned after the stacked stone was added to the fireplace. Getting ready to add the glass to the cabinets.